UW’s nuke-reactor building: cold, ugly — but worth saving? 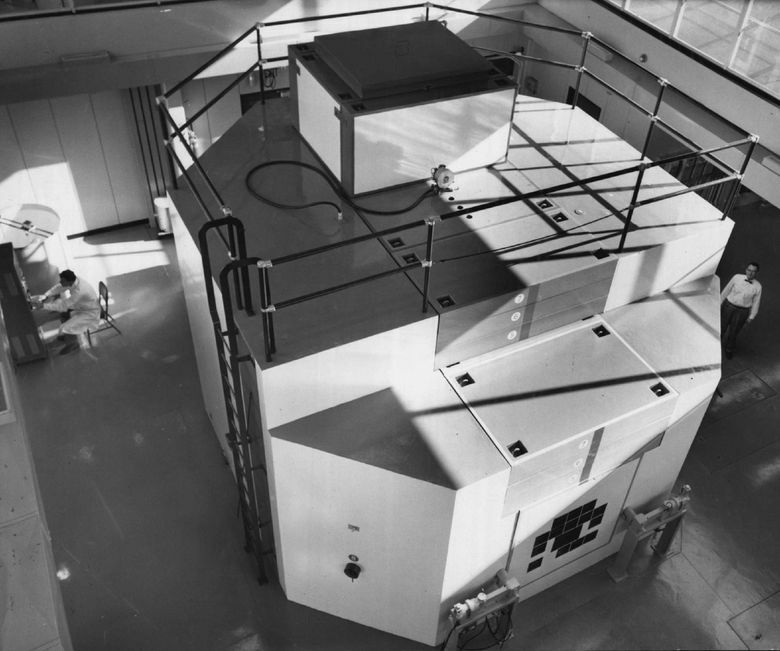 The University of Washington had a functional Nuclear Reactor Building from the early 1960s into the 1980s. It faces possible demolition, but might be saved as a historical site because of the efforts of a former architecture student. Back in 2008, when she was an architecture graduate student at the University of Washington, Abby Inpanbutr made this her passion: saving what some consider a truly, truly ugly structure. 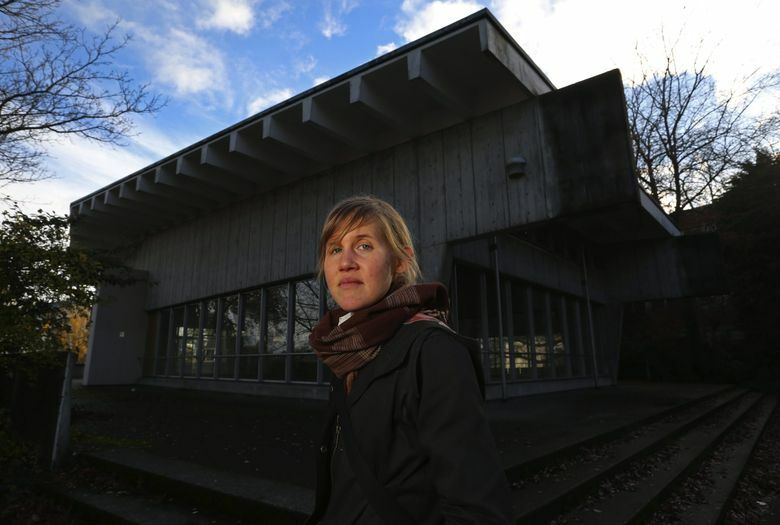 She may well accomplish her mission of preserving the university’s now-abandoned Nuclear Reactor Building, a small, concrete building with angular slabs. It could be demolished as the campus expands and there are plans for a new Computer Science and Engineering building. How ugly do some consider the reactor building? When you go by a massive, concrete building, there’s a good chance that’s Brutalism, popular from the mid-1950s to the 1970s among architects indulging themselves. They were often government or institutional buildings. Cheek now says he can think of one reason for saving the reactor building. “We need to save a handful of Brutalist-style buildings to remind us how bad they were and we don’t do that ever again. They are cold, ugly, inhumane,” he says. If you’ve ever walked across the pedestrian overpass from the lower main campus to Hec Edmundson Pavilion, you’ve gone past a plaza where the structure sits just to the south, all gray and lonely. These days, a UW student such as Nicole Hertog, 19, a freshman chemistry major, walks by the building and doesn’t know anything about it. She looks at the weatherworn outside walls and says, “It looks dirty.” It’s an apt description. The concrete soaks up our rain and turns dark with age. Inpanbutr also walked by the structure in her student days. She grew fascinated by it. “I really love design from the modern era. It was completely different from any other building on campus. It was clear something interesting had gone on in there,” she remembers. She began researching its history. Her fascination would turn into her master’s thesis in architecture. The reactor was built by the UW and used for teaching and research for nearly three decades beginning in 1961. It’s hard to imagine in today’s campus political atmosphere — even with renewed interest in nuclear power — that it would be built. In trying to save the building, Inpanbutr, now 33 and a photographer, got it included in 2009 on the state and National Register of Historic Places. Her work certainly played a part in the UW’s recent release of one of those mind-numbing 298-page Environmental Impact Statements about what to do with the reactor. The report’s “preferred alternative” is to demolish the building; other choices include having a new building incorporate it. How things have changed from when the reactor was built. By 1985, there were concerns that terrorists could make a nuke by stealing and accumulating highly enriched uranium from four or five nuclear-research facilities such as the UW’s. Albert Babb, head of the UW’s nuclear program, replied that it’d be very difficult to steal the stuff and then extract fissionable material. 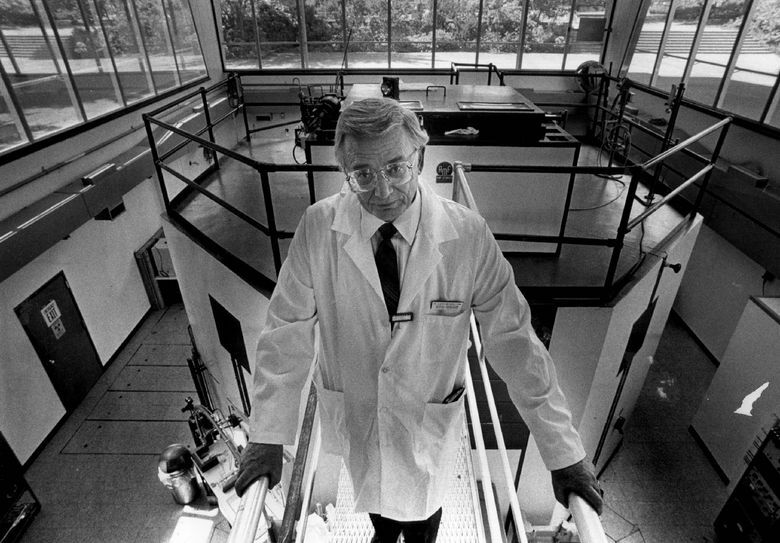 By 1992, after years of bad publicity about nuclear power plants, the Department of Nuclear Engineering was disbanded because of lack of student interest. Because of funding problems, although the reactor wasn’t being used, it wasn’t until 2007 that it was declared officially decommissioned. 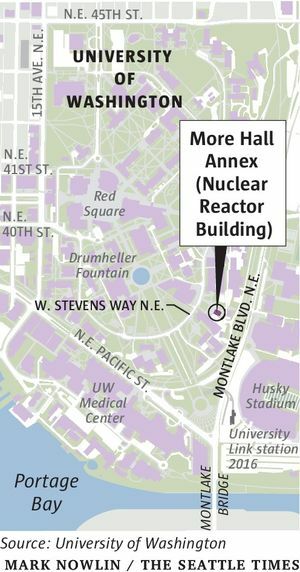 After 9/11, the UW considered it prudent to officially change the name of the Nuclear Reactor Building to the dull-sounding More Hall Annex. Better safe than sorry. An ugly building? Not to Inpanbutr, who in 2008 helped stage an event in which the reactor building was decorated with balloons taped to its outside walls. The reactor building had been designed by a group of well-known UW-associated architects, with large glass walls proudly showcasing what was going on inside. School kids were invited for visits. Publicity photos taken at the time show men in white lab coats, although, other than for a photo-op, it’s not clear why lab coats were needed for peering at instruments. Work at the reactor was uneventful except for one incident that had tragic potential: There was that plutonium leak on June 13, 1972. It was described as a “double failure” of a capsule containing the radioactive material, and 42 milligrams of plutonium dust was spread around the reactor room. A Seattle Times story said that some 30 Montana schoolchildren were visiting the lab at the time. “Reactor personnel still shudder at the thought of the added complications if those children had entered the reactor room instead of viewing it through glass,” said the story. At the abandoned UW reactor building, if you peer inside, in the middle you can see the remains of a concrete shell, with 2-foot-thick walls that held the radioactive material. Workers “looking a little like astronauts” did that wiping. Two months after the leak, the lab was back in operation. One UW nuclear engineering student had been treated for minor radiation contamination. There are 26 nuclear reactors still at universities, including one at Washington State University in Pullman. Wall says the college reactors commonly produce a million watts of power at any given moment. In comparison, he says, the commercial nuclear plant at Richland is 3,000 times more powerful. No date has been set for the UW’s Board of Regents to vote on the fate of the reactor structure. “We think it’s a beautiful building,” says Eugenia Woo, director of preservation services at Historic Seattle, one of the groups trying to save the structure. Get the bulldozers in? Fine with him, says Larry Cheek.